As the Posada del Cerro is situated in the heart of the Mayan world, you can easily get to the most important archaeological sites: Tikal, Yaxhá and Uaxactún. Those who have more time do also have the possibility to visit Ceibal, Aguateca, Petexbatún or the gigantic "El Mirador". 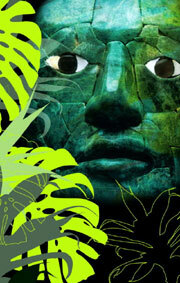 You will find evidence of the ancient Mayan culture everywhere in this region. Even on the premises of the Posada del Cerro you will feel the echo of this mysterious and fascinating Middle American culture.